Kim has been diving for over 24 years. She is a PADI Master Instructor and an Emergency First Response Instructor Trainer. Some of her favorite courses she loves to teach is sidemount, wreck, search & recovery, rescue just to name a few. She is also a IANTD & DAN Instructor. 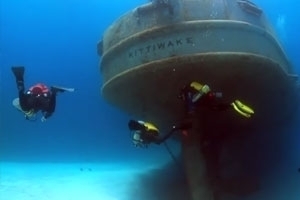 She loves wreck diving here in the Great Lakes region, and has had the opportunity to dive all of them. Some of Kim's favorite warm water dives are Palau, Truk, Fiji and Cozumel. You can find her most days at Aquatic Adventures of MI. Duke is our dog-cat, he loves to meat peps when they come in to Aquatic Adventures. Duke is 5.5 years old and can be found most of the time laying in the sun. Skylar is our social butterfly, she really enjoys meeting peps & getting her belly scratched. You can find her camped out by the front counter on the PADI mat. 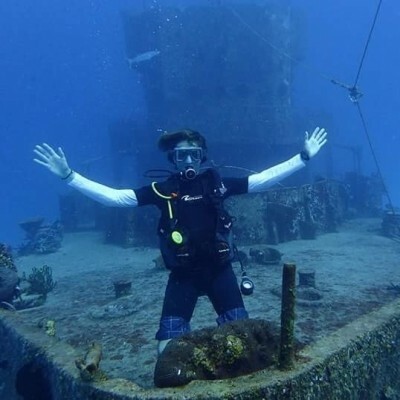 Gary has been diving 18 years with his initial training taking place in the Bahamas. Over the following years he dived extensively throughout in the Caribbean and the Gulf of Mexico. He has just returned from living in Southeast Asia for 3 years where he had the opportunity to dive the Maldives, Thailand, Malaysia, the Philippines and Indonesia. 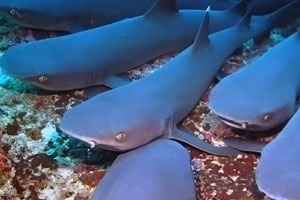 He recently completed a Masters Certificate in Oceanography specifically focusing on Sharks and Rays with the objective of being able to provide detailed background information on these fascinating animals to his students and fellow divers as part of PADI’s project AWARE and Support our Sharks (SOS). He is a PADI MSDT Instructor. I have worked as an Electrical Engineering Manager for more than two decades recently making a move to sales within the same company. Working as an Electrical Engineer and traveling for so many years has allowed me the opportunity to travel and dive throughout the United States and several great locations around the globe. A few of my favorites are Taiwan, Thailand, Philippines, Argentina, Grand Cayman, Hawaii, North Carolina, California and the Florida Keys. I enjoy working as a PADI Divemaster because it gives me the opportunity to witness the excitement one experiences when taking their first breath underwater while participating in a DSD (Discover Scuba Diving) experience. In addition, I enjoy meeting other divers, swapping great diving stories, and learning from them to make me a better diver. Scuba diving puts me in an out of this world like environment. It takes me away from the realities of normal life stresses. I started diving when I was 15 years old. I stopped for many years because of school, finances and family commitments. About 15 years ago I renewed my passion for diving. Since then I progressed through different levels and work my way all the way up to a PADI open water scuba instructor rating. Now I can not only continue to explore the underwater world but can initiate others to this experience. Kim has been diving for over 21 years. She is a PADI Master Instructor, some of her favorite courses she loves to teach is sidemount, wreck, search & recovery, rescue just to name a few. She is also a IANTD & DAN Instructor. She loves wreck diving here in the Great Lakes region, and has had the opportunity to dive all of them. Originally from England I learned to scuba when I was 18 but stopped after a few years as life got in the way. My wife and I immigrated to USA in 1990. I began diving again and was re-certified 2011 with my teenage son and instantly loved being back underwater. I love everything underwater and constantly work to improve my own skills. 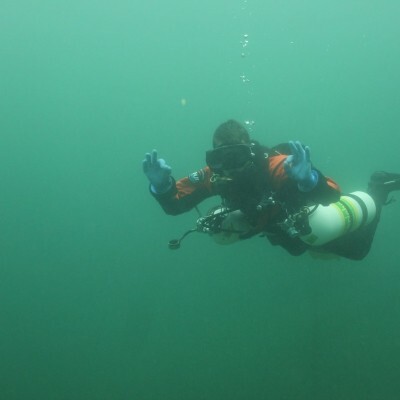 An avid underwater photographer and technical diver with Rebreathers. I honestly enjoy helping people master their scuba diving goals from basic to advanced to technical. I have a fun approach to learning and will make every effort to help you master your potential. 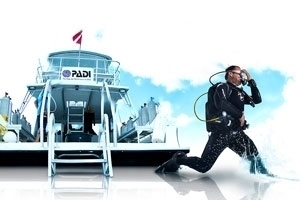 Certifications: PADI MSDT, Poseidon Mark6/7 Rebreather Instructor. 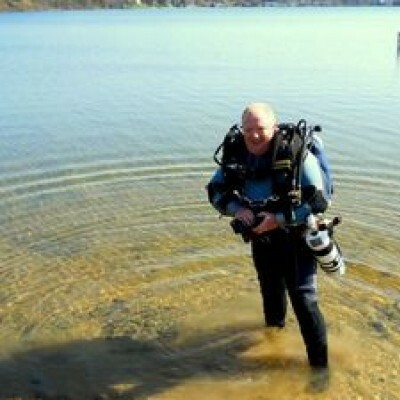 Tom has been diving for over 20 years, and has logged over twelve hundred dives. 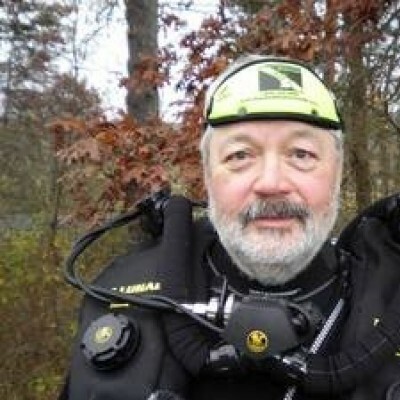 He has dived in all of the Great Lakes plus Lake St. Claire, the St. Claire and Cooper Rivers, the Florida Keys, the Florida caves, various Caribbean locations, and exotic locations such as Hawaii, French Polynesia, Truk Lagoon, Palau, the Galapagos Islands, the Solomon Islands, and the Maldives. But he always comes back to Michigan to explore the shipwrecks of the Great Lakes. 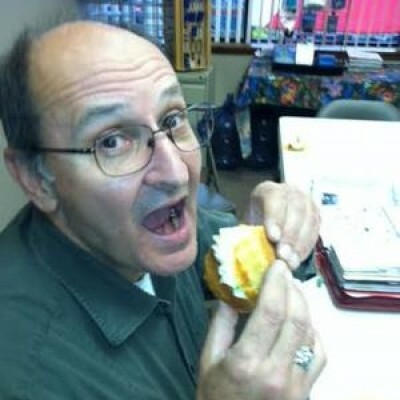 In 2007, after 35 years as a mechanical engineer, Tom “retired” to work full-time at Aquatic Adventures of MI. He is the manager of the Service Department, and is a certified technician for many brands of scuba equipment. In addition he is a PSI certified tank inspector trainer, valve repair technician, and a DOT authorized cylinder requalifier (i.e., hydro tester). He is also a nitrox, trimix blender and blender instructor. Tom is an instructor with PADI, IANTD, and DAN, and recently became an instructor for the Poseidon Mark VI/Se7en recreational rebreather. Joe has been an active diver for more than 23 years. 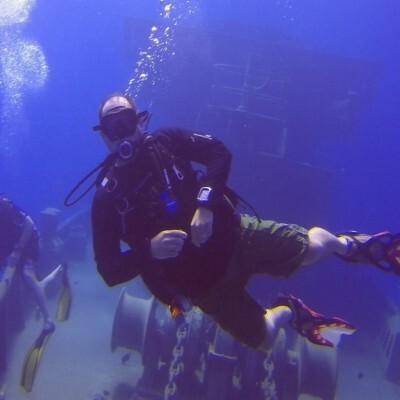 Joe always has a passion for scuba diving and getting others to experience the adventure. He has dove in Lake Michigan, The Straights Of Mackinaw, Lake Huron and many local lake in Michigan. Through his relationships with Aquatic Adventures of Michigan, he has traveled to Cozumel, Belize, Utila, Cayman Islands and Costa Rica on many occasions. 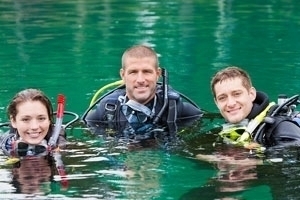 Joe shares his passion of diving with his son Nicholas and had him certified at 10 years of age traveling with AAM Friends to Belize and Utila. 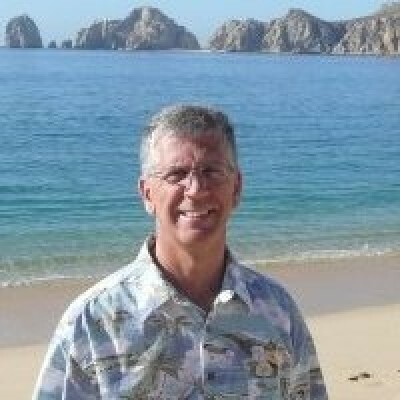 Joe has always taken great steps to get kids involved with scuba diving and participates in Discover Scuba Experiences with Schools, Girls & Boy Scouts, as well as family and neighborhood events. Joe has been certified in: Open Water, Advanced Open Water, Navigation, Deep Diving, Night & Limited Visibility, Boat Diving, Stress and Rescue, Dry Suit, Buoyancy, EAN Nitrox, Equipment Techniques, Wreck Diving and Dive Master. Joe is also a certified tank inspector, Valve Repair Technician for Mares, Scuba Pro, and Sherwood. He is also a Certified in blending Nirtox and Trimix and was recently certified as an Emergency First Response Instructor. 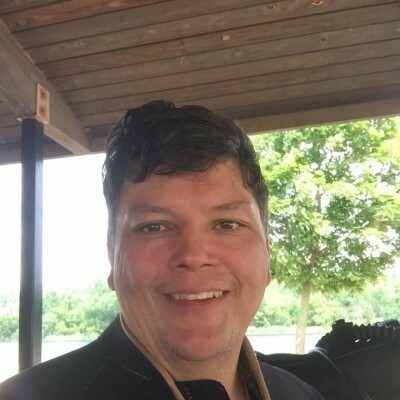 Joe has been a active Assistant Instructor working with Discover Suba Experiences, Scuba Reviews and participating in the class instruction as he works towards his Instructor certification. Joe is very patient, informative and truly loves scuba diving. If you have the opportunity to be instructed or just participate in diving with him, you will feel at ease as you gain experience and memories. 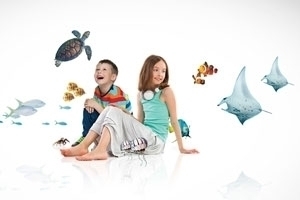 Ask for him for your next experience at Aquatic Adventures of Michigan. I have been interested in all things related to water since getting my first mask as a young kid, seeking opportunities that bring me close to water including working as a lifeguard, serving as a camp counselor on the waterfront, as well as snorkeling wherever and whenever I could. 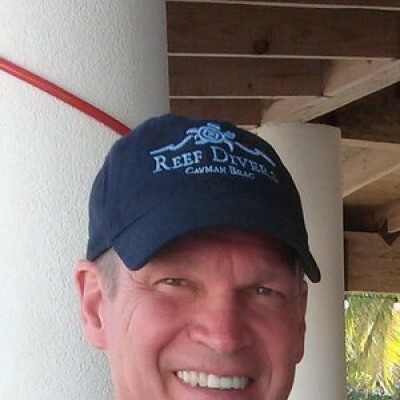 I began my diving career through a Discover Scuba class in 2012, while vacationing in Grand Cayman. I was surprised to be the worst student in the class. 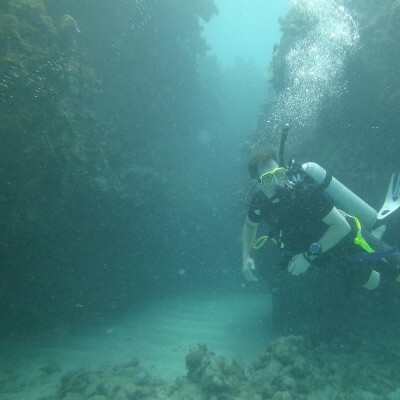 After that first dive, I became addicted to scuba diving enjoying opportunities to dive throughout Michigan and the Caribbean including Dominican Republic, Jamaica (Montego Bay & Ocho Rios), Cozumel, Riviera Maya, and others. I have had many memorial dives, but the Cenote dive at Taj Mahal in Chetumal, Mexico blew me away with the breathtaking stalagmite/stalactite formations, amazing light patterns, haloclines, and bat filled ballrooms. It felt like diving through a National Geographic special. I have continued to become a PADI Divemaster to share the joys and sense of accomplishment that comes with diving and to continue to learn from other divers. I have enjoyed many hobbies in the past but Scuba diving has been one of the most rewarding. I can't wait for the next opportunity to dive with the many new friends I have met through working at the dive shop or at Meet-up events. Scuba diving provides challenges, opportunities and rewards that I have not experienced with other activities. When I am asked what Scuba diving is like, it is hard not to use words like "amazing" or "wonderful" or "fantastic" or sometimes even "spiritual". I've come late to the Scuba diving party (after retiring from both the auto industry and the military) and I'm trying to make up for lost time. Over the past 3 years I've logged more than 70 dives and I'm currently PADI certified for: Open Water, Advanced O.W., Dry suit, Enriched Air, Sidemount, Rebreather and Advanced Rebreather (Poseidon MKVI), Oxygen Provider, Emergency First Responder, Equipment Specialist, and Gas Blender. I am PSI certified to inspect Scuba tanks and have been trained on repairing Scuba equipment. I just recently completed my PADI Divemaster & become an Emergency First Response Instructor. 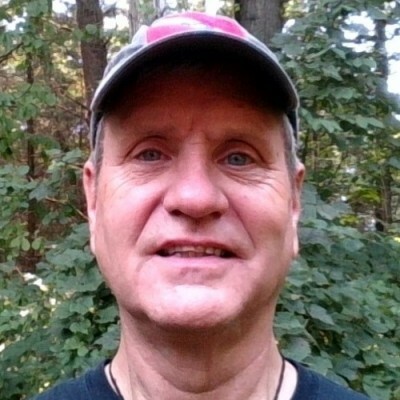 I am a Diver's Alert Network (DAN) member and co-host for the Aquatic Adventures of Michigan weekly Meet-up dives. 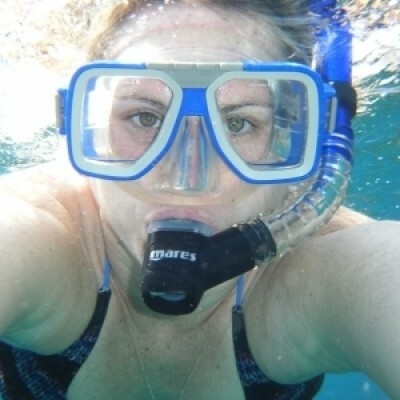 My wife, JoAnn, does not dive, but enjoys traveling and the social aspects of diving. We are "empty nesters" and living the good life in Hartland. Always having the need to be in or around the water, I was first certified at age 16, in 1974. I can’t tell you how many masks, fins, and snorkels I went through as a young kid, always the favorite birthday or holiday gift. Books, fiction and nonfiction, about shipwrecks or underwater archaeology, TV shows and movies about diving barely satisfied my need to get wet. Scuba diving has always been my passion and a way to discover the underwater world. A tour in the US Navy took me to exotic places to explore my passion. From waters North, Georgian Bay and the Great Lakes; to the South, Gulf of Mexico and Caribbean Sea; from the East, the Mediterranean Sea and Atlantic; to the West, the Sea of Cortes and the Pacific, to places in between I managed to “get wet” and discover and find out what lies beneath the surface. have enjoyed many hobbies in the past but Scuba diving has been one of the most rewarding. I can't wait for the next opportunity to dive with the many new friends I have met through working at the dive shop or at Meet-up events. Scuba diving provides challenges, opportunities and rewards that I have not experienced with other activities. When I am asked what Scuba diving is like, it is hard not to use words like "amazing" or "wonderful" or "fantastic" or sometimes even "spiritual". I've come late to the Scuba diving party (after retiring from both the auto industry and the military) and I'm trying to make up for lost time. Over the past 3 years I've logged more than 70 dives and I'm currently PADI certified for: Open Water, Advanced O.W., Dry suit, Enriched Air, Sidemount, Rebreather and Advanced Rebreather (Poseidon MKVI), Oxygen Provider, Emergency First Responder, Equipment Specialist, and Gas Blender. I am PSI certified to inspect Scuba tanks and have been trained on repairing Scuba equipment. I am currently working to complete my Rescue certification and will move on to Dive Master training afterwards. I am a Diver's Alert Network (DAN) member and co-host for the Aquatic Adventures of Michigan weekly Meet-up dives.